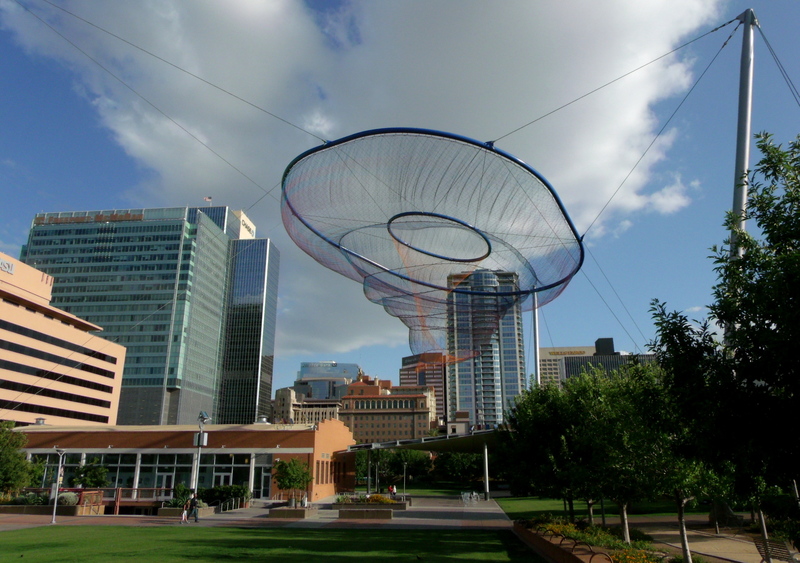 City Paint 3 – 2012…The End?? 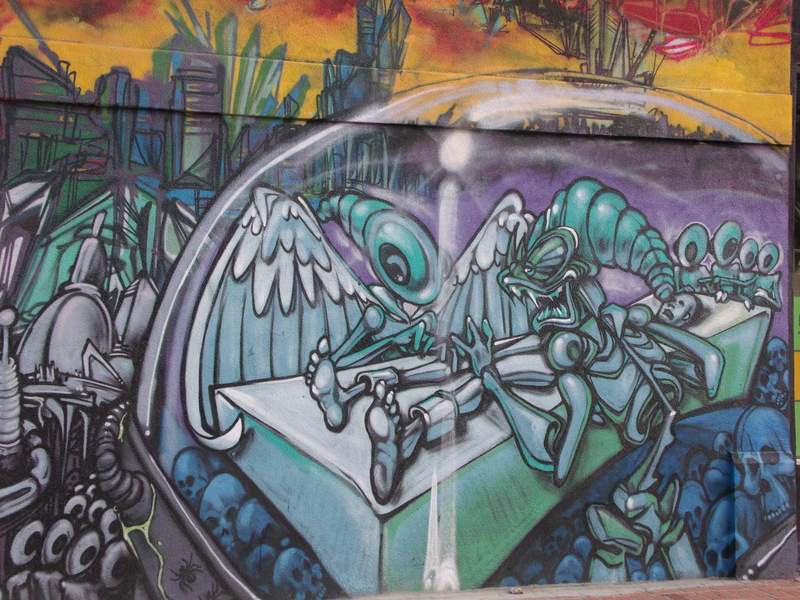 This one is almost too much…from the side of the Korner Market…350 S. State Street, downtown Salt Lake City…. 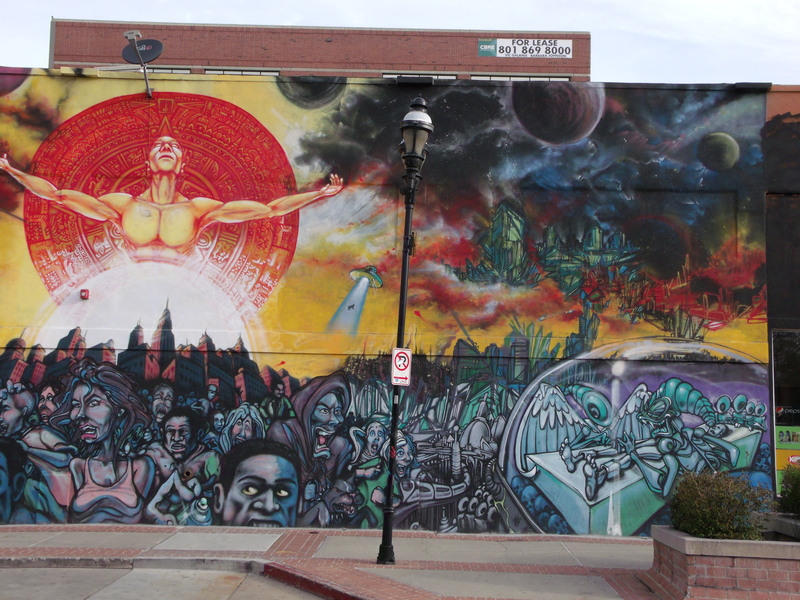 The first two photos are the left and right sides of the huge mural, and the following six shots are close-ups of the more significant parts…certainly thought-provoking, in addition to being an amazing work of art. 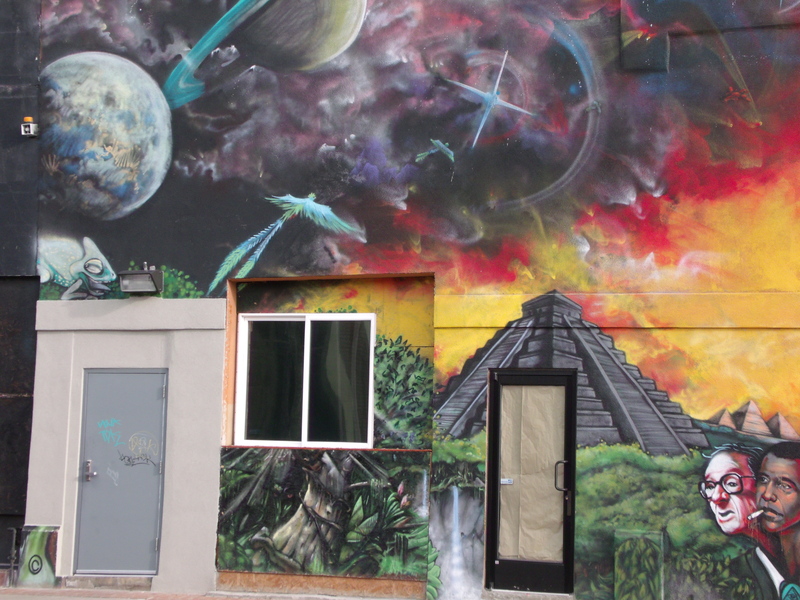 I was so taken with my “discovery” of the mural that I had forgotten to get the name of the business and exact address…so I had to make a return trip to collect that info. When I went back, I found that the bottom half of the mural had been blackened-out…covered…in only four or five days from when I shot these photos. 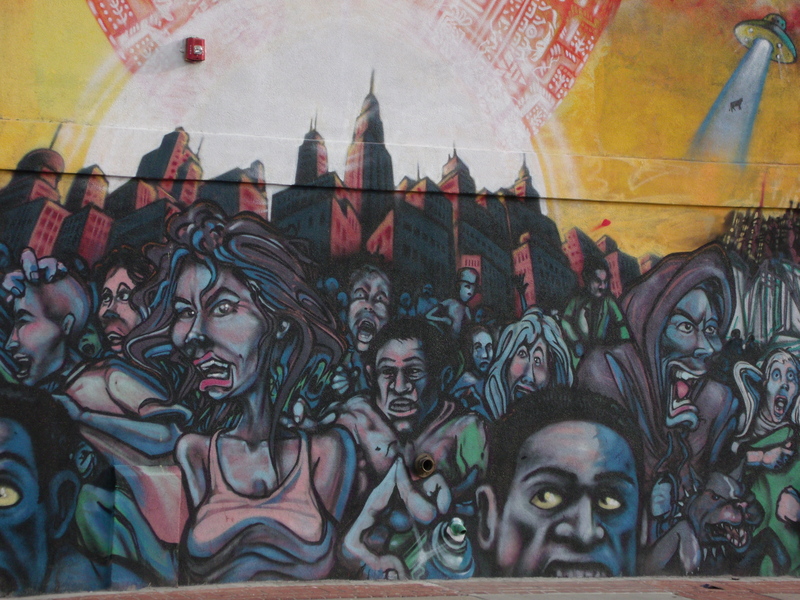 I went into the store to see who I might find who could explain what was going on with the mural. I found a young man behind the counter, Oz, who told me that the whole mural is covered and replaced every year…has been for the last four or five years now. 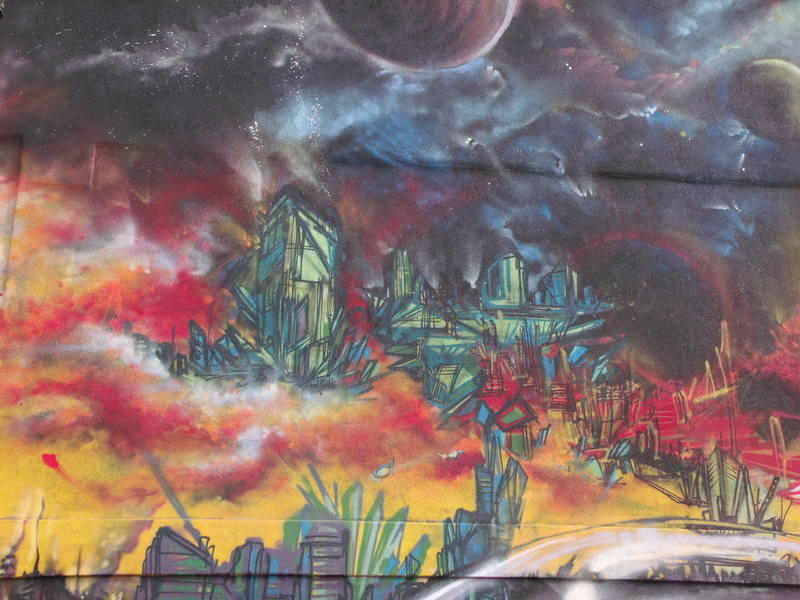 Each time they have it replaced, the graffiti artist Kier re-paints the whole thing…with spray cans of paint. The murals usually contain a message…ideas submitted by store customers, neighboring businesses, the Korner Market owners, and Kier himself. 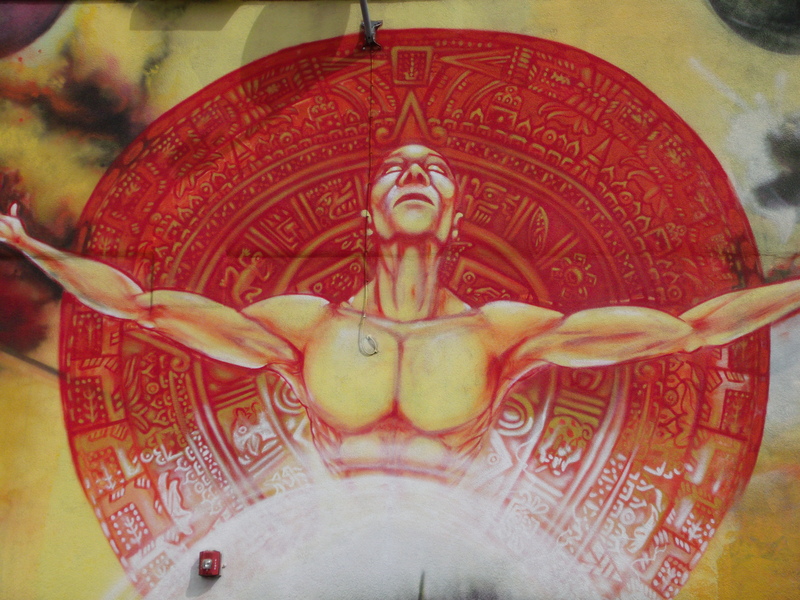 The subject matter for the present mural is 2012…with the intertwined concerns of the Maya prediction about the ending of life as we know it, politics, UFOs, and society in general. 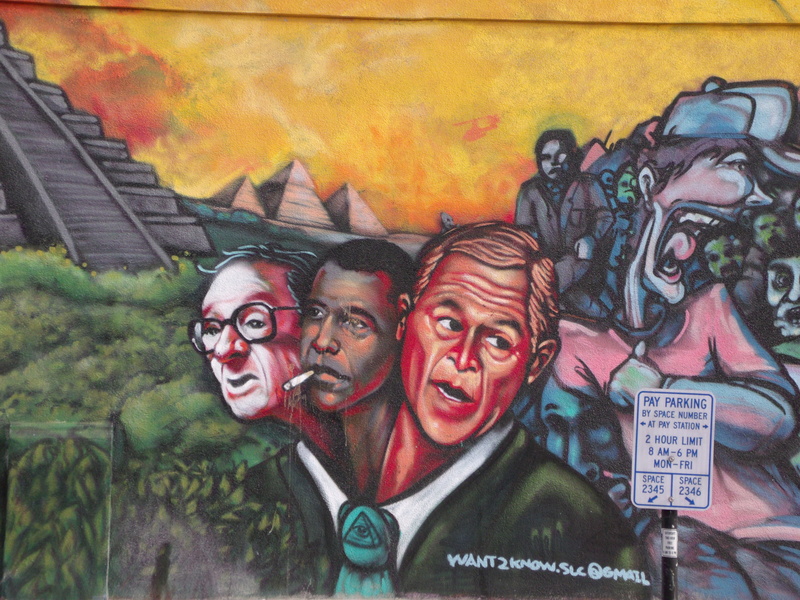 You’ll notice the three-headed image of Greenspan, Obama, and Bush…alien experimentation…and frightened masses. Oz told me that I should return to the mural in another two or three weeks…said Kier usually takes a couple of weeks to complete everything. 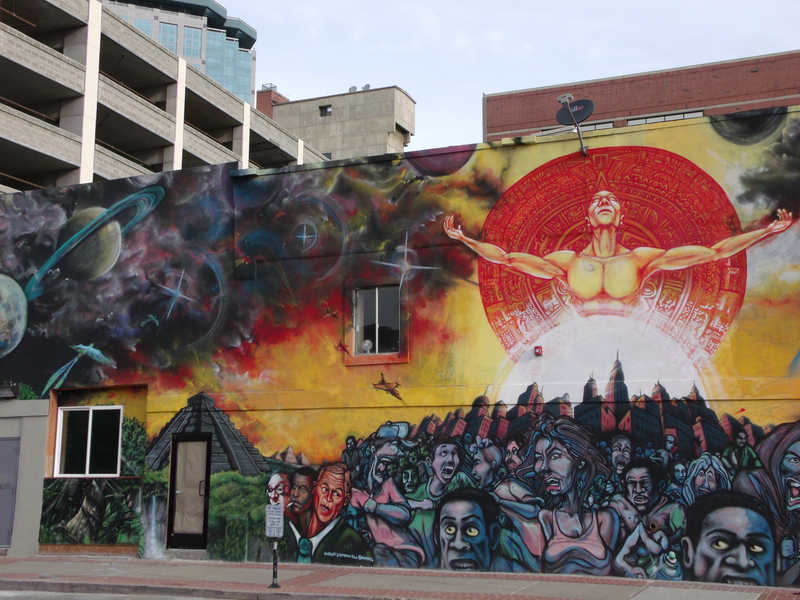 He also said that he and Kier were just going over drawings for the next mural…and that it is going to be even bigger and better than this one…grander in scale.